Do we ask too much of our software? 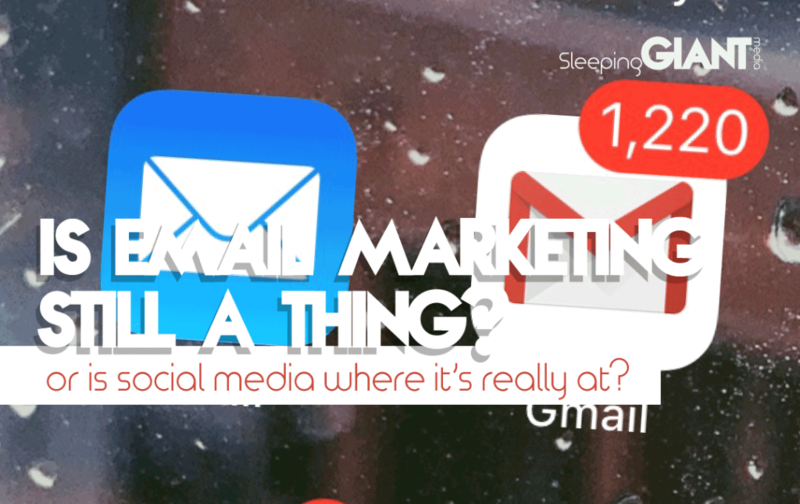 Home > Blog > Do we ask too much of our software? Ah, technology. Technology is the wonder child. The prodigy. The shiny little marvel going above and beyond and absolutely never letting you down. Until it does. And then suddenly you’re scrambling around with a piece of paper, trying to remember how to write with a pencil, what you had to do today, and what meeting room you booked for that 10am meeting. When it comes to technology, we have a tendency to put all of our metaphorical eggs in one digital basket. A basket that’s notoriously precarious. One dodgy connection or system error and your lovely little egg collection has gone tumbling to the floor, along with your motivation and efficiency levels. But what’s the impact of when software goes down? And what can we do about it? Let’s be real for a second. 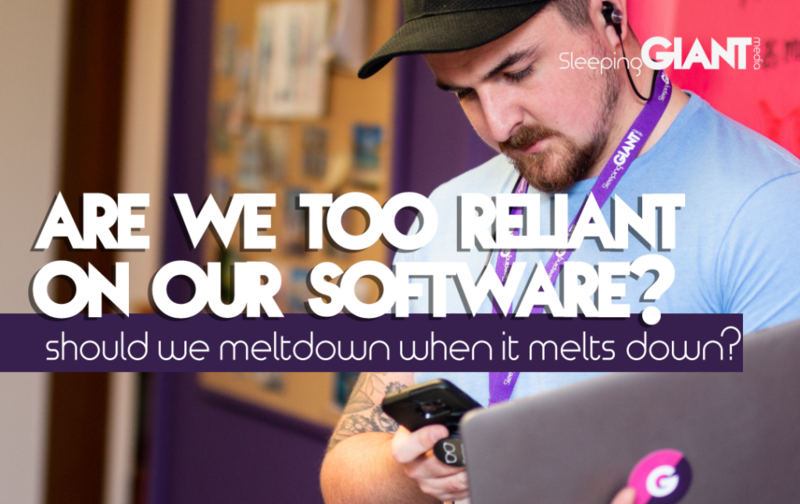 This blog was brought about by last week’s Asana outages – software that we use across all areas of the business here at GIANT Towers. As you can imagine, the ripples of “is Asana down?” and “has Asana broken for anyone else?” spread swiftly across our floors, as more and more people realised that the worst case scenario had happened. A full outage. Just last year, Inc reported that Asana now had more than 50,000 paying customers, with roughly half of its new revenue coming from outside of the US – showing just how big the platform has grown in the world of workplace management tools. Flick back a few years and Fortune reported that 74% of Fortune 500 companies were using some form of Trello, while more than 3 million paying businesses were reported to be using G Suite for their workplace – a number which has no doubt grown since. So are we asking too much by being this reliant on software and technology? Yes and no. If you’re paying for software or programmes then it doesn’t exactly feel like too much to ask by expecting that it works. But, on the other hand, relying this heavily on technology can feel like asking for trouble – just as it can by relying too much on a freelancer, or by relying too much on your train home arriving on time. We all know how likely that one is to succeed. Well, obviously the first very important step when software goes down is to take to Twitter and rant. Vigorously. Take the latest Asana outage as an example, when people headed over to Tweet their frustrations at the poor, unsuspecting social media execs managing the Asana page – or simply to share their concerns at never getting anything useful done ever again. @asana is down. Does this mean we get the day off? Once you’ve got that out of your system, you may want to look at how you can prevent these sorts of widespread outages affecting you in the future. While we’re absolutely not saying that people shouldn’t rely on technology, it is a good idea to have some backups. Perhaps a paper calendar (yes, they are still widely available) or even storing digital information in more than one place – some on your hardware, some in the cloud, for example. Reach out and say hello. Come experience the GIANT side. Stay up to date with the latest news and stories straight from Giant HQ. Top Floor, The Civic Centre, Castle Hill Avenue, Folkestone CT20 2QY. Copyright © 2019 Sleeping Giant Media. All Rights Reserved.